Let's Welcome Alaura to the DMG team!! Let’s Welcome Alaura to the DMG team!! 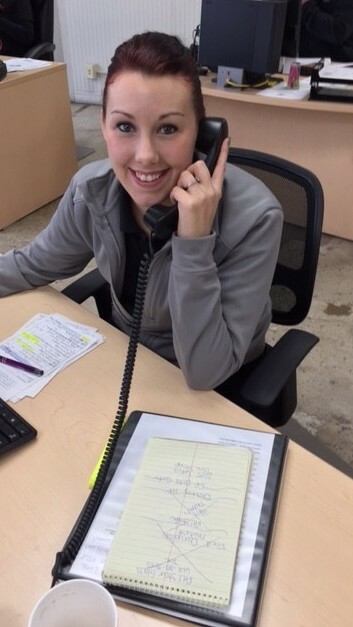 Alaura Crouse is the newest addition to the Don's Mobile Glass family! She has been hired right now for the CSR position at our downtown Modesto Auto location. Although she has only been here for a short period of time she has already been trained at our corporate offices, and then sent to the store so she can get a better feel for scheduling, answering phones and ordering parts. She loves being busy and learning new things, so this position is a perfect fit for her. Her mother is actually Kimmy Jo Wellman, our marketing manager for the Manteca/Stockton area, and although she just moved back here from Las Vegas, she is from Oakdale and has been around the area most of her life. In her spare time she loves to go bowling, cook, clean, and spend time with her family, including her nephew Kayden. Alaura is going to contribute to our company by giving the best customer service and keep our customers coming back by making sure they feel important and taken care of. Her personality and work ethic makes her a hard worker and high achiever. She always wants to do her best and willing to learn and try new things. She always looks for the positive in any situation with a smile on her face! We are excited to have Alaura as part of our team, and next time you are in the area stop by and say hi! Maybe give her a little quiz to see how much she has learned about the glass business!